SDHC has medical, dental, and behavior health specialists who see patients at our clinic by appointment. 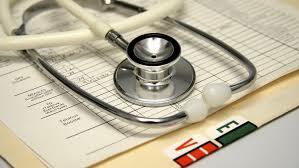 Your primary care provider can refer you for an appointment with a specialist at your request. Audiology is the healthcare science of hearing and balance disorders, the primary aim of which is to help people overcome the barriers placed in their way as a consequence of hearing or balance problems. Nephrology is a branch of medical science that deals with diseases of the kidneys. The kidneys are vital for life with their complex network of blood vessels and intricate network of tubes and tubules that filter blood of its waste products and excess water. Santo Domingo Health Center expanded its facilities at the end of 2015 in order to provide better services for you. Our new clinic space houses four (4) new exam rooms so we can see more patients each day for medical visits. Call the clinic at 505-465-3060 if you need to be seen today. Our hours of operation for primary care services are 7:30-5:30 Monday through Friday. We are closed on Wednesday mornings for administration time, however, we are available for urgent needs. Click here for the Physical Form for pediatric sports activities. Dr. Charlie is SDHC’s Chief Medical Officer. 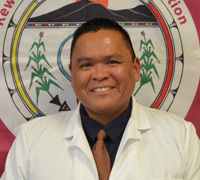 He was born in Shiprock, NM, and graduated from Stanford University School of Medicine. Dr. Charlie specializes in Family Medicine with an interest in health promotion & disease prevention. Dr. Charlie loves to cook, spend time with family, and is a fan of Marvel Superheroes. 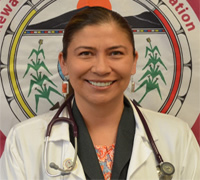 Dr. Topsky, a graduate of the University of Washington School Of Medicine, was born in Toppenish, Washington. She is a fancy dancer, and former dancer for the American Indian Dance Theater. Dr. Topsky is board certified in Family Medicine. 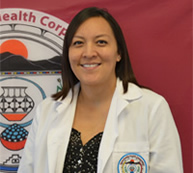 Kristin Giordano is a Physician Assistant who graduated from the University of New Mexico. She was born in Gallup, New Mexico. Kristin swears she can fall asleep anywhere - soon she'll be putting that skill to good use as she has recently had a baby!